Activities in this book focus on high frequency words and are designed for use sequentially, following a weekly program. In addition to the activities, flash card templates and individual student assessments have been added to save your valuable time. The worksheets can be used as either a remedial tool or as an extension to your existing language program. 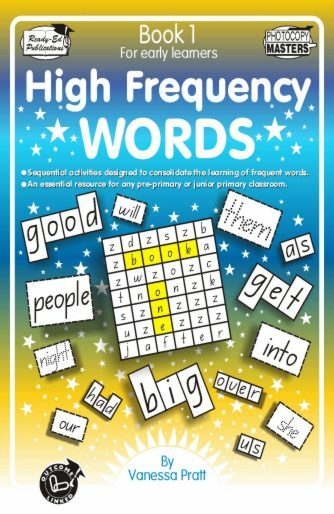 High Frequency Words Bk 1 (NZ Version) 831798 14.95 readyebooks Fresh Download Available!